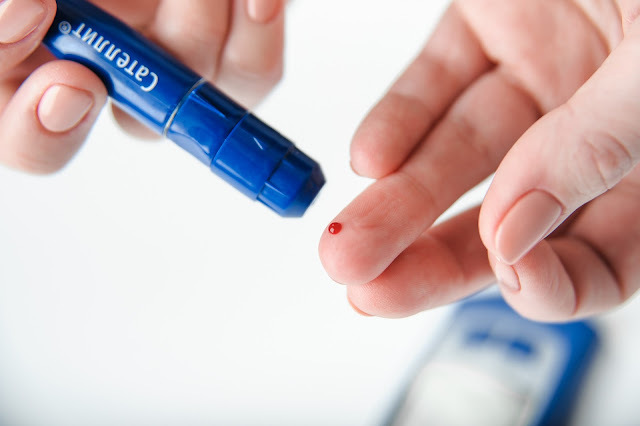 Diabetes is more prevalent than ever and 95% of cases diagnosed are type 2 diabetes. Before diabetes type 2 becomes fully developed you go through a stage known as pre-diabetes. This is where you start to show some of the symptoms, which if ignored, can lead to full blown diabetes. 1) If you are overweight you risk developing diabetes. Reduce the amount of food on your plate so you gradually eat less and start to lose weight. Drink a glass of plain water or a sugar-free drink before your meal to take the edge of any hunger pains. 2) Reduce the amount of fat you are eating; grill or bake foods instead of frying; use low-fat spreads and reduced fat meals. 3) Check the Glycemic Index of the food you are eating - knowing what each food contains helps maintain your blood-sugars, which in turn can prevent the full onset of diabetes. 4) Drink at least 8 glasses of water every day. If you keep a bottle of water with you and sip frequently you'll be surprised how much you do drink throughout the day. 5) If you are feeling peckish choose a healthy snack rather than a chocolate bar. 6) Use skimmed rather than full-fat milk in hot drinks. 7) Exercise is good for health. But if you are not use to exercise then start in moderation. 15 minutes gentle walking each day will ease you into a regular exercising pattern. All of these action points are also the ones that diabetics are advised to take - if you take them now you might possibly prevent irreparable damage to your health.